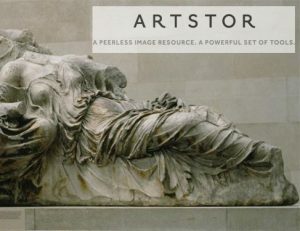 Artstor, the digital image database of more than two million images, spent the summer giving itself a complete makeover. The new platform now has a completely different look with many changed functionalities. Click here to read more about the changes to Artstor. Want a fast look at the basics for navigating the new Artstor? Download the VRC’s Artstor at JHU Quickstart Guide. Visit the VRC’s libguide or email vrc@jhu.edu for help using the new Artstor. We also offer in-class presentations on using Artstor and finding images for class assignments. Always feel free to drop by the VRC in Gilman Hall 181 Monday through Friday 9-5; visitors are welcome. *IIIF, pronounced Triple-I-F, stands for International Image Interoperability Framework. Visit the IIIF FAQ page for more information.